Heritage Sandy Springs Museum is the only museum dedicated to sharing the exciting and vibrant story of the Sandy Springs community. 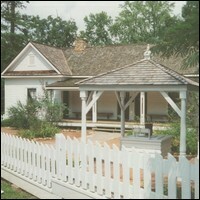 The museum is located in the re-purposed Williams-Payne House at Heritage Green. Parking: Free parking is available on Sandy Springs Place in designated parking lots.